Some years just don't get the fanfare associated with other ages. Take 19 year-olds. They just passed the milestone 18th birthday (vote! official adult status! ), and then comes age 19, which is the last year before turning 20. Basically, 19 years-old is right smack in the middle of two big milestones, or simply not-quite-in-his-twenties. 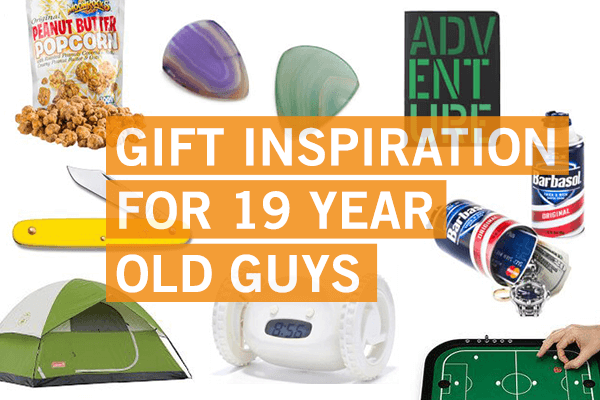 So keep in mind this simple list of go-to teenage gifts for him — to make 19 feel special all on its own. Gifts for 19 year-old girls need to check off a few boxes. Namely, be sure that your gift is rad, cool, sweet, or something she could use with her squad. Got it? Don't worry if you're feeling a little lost! 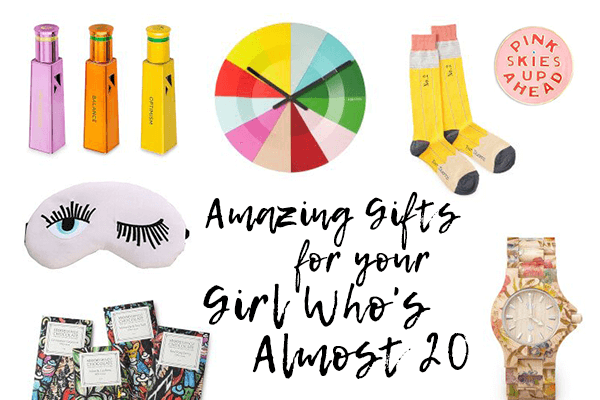 We've got an easy go-to list of gift ideas for 19 year-old girls. Because shopping for this age can feel like you’re speaking a different language. This gift list translates what she really wants. For 19-year-olds, there's one year left to squeak by under the labels of "teenager", "youth", or even "kid". Because once you turn 20, all bets are off and you're officially in adult territory. So think about gifts for 19-year-olds that mark this last teenage year for all its glory. We're talking gifts for 19-year-olds that are fun, carefree, or even frivolous. Here's your guide to all the markings of the perfect gifts for 19-year-olds. There are 1700+ adventures in the making. Choose any one from a city tour to an adrenaline-rush activity. If you want a gift that he or she can open, think on a travel accessory or something he'd use in the adventure as an add-on gift. Making memories are the best kind of gifts for 19-year-olds. For 19-year-olds in college, there's a lot to be schlepping around - heavy textbooks, wallet, phone, laptop, portable chargers, and the list goes on. Find a cool accessory that makes the load feel a little lighter, like a well-designed pocket tool or a new wallet that doesn't feel like a brick. Everyone likes a soft, luxurious towel to wrap yourself in after a shower. Your 19-year-old is no different, except that he or she probably can't afford said towels or the espresso machine for making killer morning coffee. Think on essentials for their living space that upgrade basic dorm life. Accessories - like a pretty bracelet or sporty watch - are safer bets than choosing any fashion gifts for 19-year-olds, where you can easily get the size wrong. Besides, a special accessory feels more like a treat. You can go in so many different directions for a fitness-conscious teenager. Sports gear, a running watch, or some cool new sneakers are obvious choices. Or go the alternative route with a gift of a month's gym membership or personal time with a trainer. Celebrate your 19-year-old's passion for staying active. Try our related gift guides for teens, teenage boys, teenage girls and 18 year olds.